Key-Plus is a concentrated feed additive specifically designed for horses and ponies requiring increased condition, topline or an extra source of #cool#ÿcalories. When conditioning a horse, we recommend you feed a safe, highly-digestible form of energy that doesn#t affect temperament. 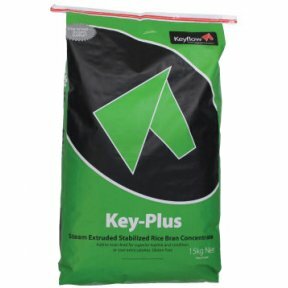 Key-Plus is made from pure stabilised rice bran SRB which is high in oil and contains powerful antioxidants. SRB is known for its muscle building qualities. It also contains vitamin E, selenium and has a balanced calcium to phosphorous ratio. Key-Plus is a highly effective conditioner and cool on-demand calorie source that can be added to any daily feed by the cupful. 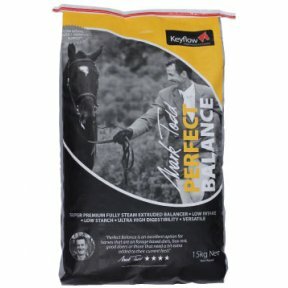 Perfect Balance is a versatile, high spec comprehensive balancer that has been wet steam extruded to maximise nutrient absorption in the small intestine.ÿAn excellent choice for horses and ponies on forage based diets, box rest, good doers or to top-up the diet of those being fed less than recommended amounts of other Keyflow feeds. Perfect Balance is also suitable for youngstock and mares in foal, particularly if turned out on pasture. Keyflow Maestro is the ultimate cool competition feed. It is the product of choice for the worlds top competing riders because it delivers long-lasting cool energy and unrivalled critical system support. Utilising the latest advancements in nutritional science, Maestro provides a high spec nutritional package delivered in a highly digestible form.ÿA simple solution to achieve the very best performance from your horse or pony. 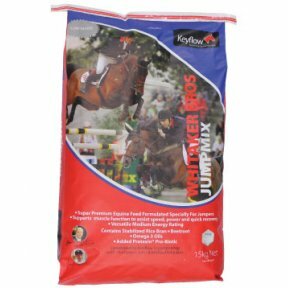 Whitaker Bros Jumpmix Jnr has been developed in partnership by none other than world-class show jumpers John and Michael Whitaker. 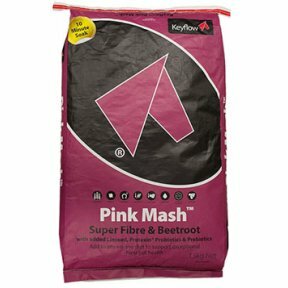 It#s the UK#s only super-premium feed designed specifically for performance ponies. It provides ponies with the nutrition needed to perform # without excitable behaviour. When feeding performance ponies its important to meet their nutritional requirements but often they have plenty of natural energy so a traditional competition mix isn#t suitable. 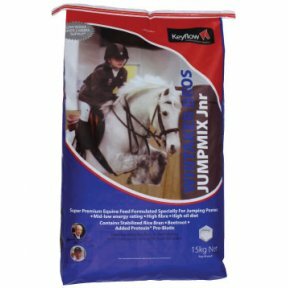 Jumpmix Jnr solves this issue and its extremely simple to feed, just add fibre. Whitaker Bros Jumpmix has been developed in partnership by none other than world-class show jumpers John and Michael Whitaker. 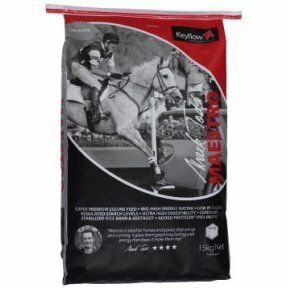 It is specifically formulated for horses used for show-jumping or any type of short-format jumping sports. 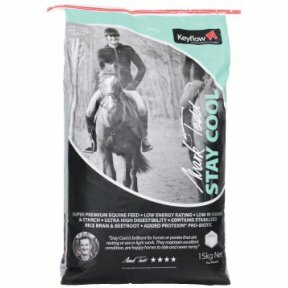 A mixture of slow and fast release energy is ideally suited to show-jumping or similar sports, whilst high quality protein ensures muscle response is fast and strong.